Some students seem to breeze through their school years, whereas others struggle, putting them at risk for getting lost in our educational system and not reaching their full potential. Parents and teachers want to help students succeed, but there is little guidance on which learning techniques are the most effective for improving educational outcomes. This leads students to implement studying strategies that are often ineffective, resulting in minimal gains in performance. What then are the best strategies to help struggling students learn? Fortunately for students, parents, and teachers, psychological scientists have developed and evaluated the effectiveness of a wide range of learning techniques meant to enhance academic performance. In this report, Dunlosky (Kent State University), Rawson (Kent State University), Marsh (Duke University), Nathan (University of Wisconsin–Madison), and Willingham (University of Virginia) review the effectiveness of 10 commonly used learning techniques. The authors describe each learning technique in detail and discuss the conditions under which each technique is most successful. They also describe the students (age, ability level, etc.) for whom each technique is most useful, the materials needed to utilize each technique, and the specific skills each technique promotes. To allow readers to easily identify which methods are the most effective, the authors rate the techniques as having high, medium, or low utility for improving student learning. 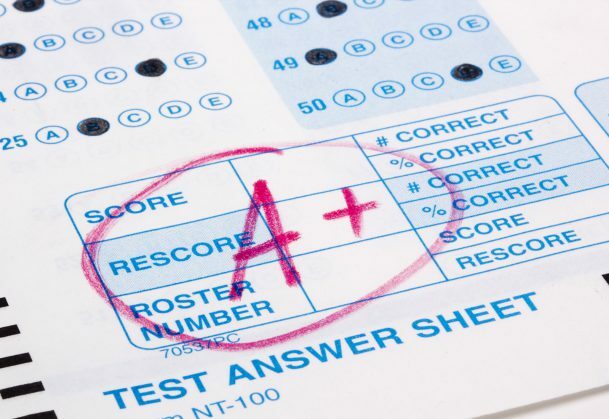 Which learning techniques made the grade? According to the authors, some commonly used techniques, such as underlining, rereading material, and using mnemonic devices, were found to be of surprisingly low utility. These techniques were difficult to implement properly and often resulted in inconsistent gains in student performance. Other learning techniques such as taking practice tests and spreading study sessions out over time — known as distributed practice — were found to be of high utility because they benefited students of many different ages and ability levels and enhanced performance in many different areas. The real-world guidance provided by this report is based on psychological science, making it an especially valuable tool for students, parents, and teachers who wish to promote effective learning. Although there are many reasons why students struggle in school, these learning techniques, when used properly, should help provide meaningful gains in classroom performance, achievement test scores, and many other tasks students will encounter across their lifespan. This article confirms my own observations in the classroom. Thank you. I am anxious to read the entire article. if these techniques may be made available to school authorities and parent then our students can get the best out of it. This article is great and these techniques are valid and can transform our schools performance. Thanks for thorough researched work. teachers as facilitators in classes need to be aware of these techniques through continual learning. Thanks to the person who had created this link. It is very useful for our QC project and we had used these methods for helping our fellow mates. This articles techniques are very different from what teachers these days. I need to get this information out there to the teachers at my school and try to get them to utilize it in class. I think it was a very informative articial, and he learning techniques are very detailed. i am a computer science student and have to search online . which is on one side useful that if something is missing in one article is found on another article but its so much time consuming plus i want to get all the knowledge related but its not possible. that i should concentrate on 1 topic and first learn the basic and then goto further details…..
thank you so much, great article. I’m curious as to what you define as ‘learning’ because this research seems to focus mostly on memorisation which on Bloom’s taxonomy is a fairly low element of learning, though obviously vital for some subjects. I wonder if you should make this distinction clearer because this research is useful in identifying the best pedagogies for memorisation and retrieval but may not be the best for different types of learning outcomes. This article is important because learning effective learning techniques will help me to find the right technique to be successful in my educational journey. I really like the techniques used in the article,I believe that they can enhance the learning skills in the classroom.Great article! I agree that distibuted practice is indeed a valuable tool, however I disagree that it is of high utility because I am never able to actually “utiize” the tools e.g. practice tests/exams. Why aren’t more online practice exams aren’t available for scoring and self-challenging purposes? That would be more of an actual incentive to me. I also disagree that double checking and ightingmarking,high!ighting,underlining are low utility. As someone who is OCD, like myself, this is very satisfying and is actually very good at helping with retention of the material subject learned. The highlighting technique does not work for my 6th grader. But this technique works for me. Distributed practice was indeed a more successful tool and technique. 3.you have to suppose,the subject you are reading is very easy. THIS ARTICLE WILL HELP ME THROUGH MY TEACHING CARIER. Your Best and Brightest always seem to want to change the playing field of learning. The gentlemen and women who wrote most of the worlds great literature, would not respect your methods; nor should the parents, who see graduates with ever-decreasing test scores, abilities and aptitude. I have found this article a learning experience that i can imply to my everyday lifestyle by using the moral tools given to preserver through this college coarse. I was disappointed to not identify strategies based on Problem Based Learning, which is particularly relevant for STEM classes and students.